The thermal stability of 4-tert-butylphenol has been studied in the temperature range of 673–738 K, the components of the thermolysis reaction mixture have been identified, a kinetic model of the process has been proposed, and the rate constants and parameters of the Arrhenius equation have been calculated for all of the reactions considered. The predominant role of 4-tert-butylphenol isomerization transformations has been established. 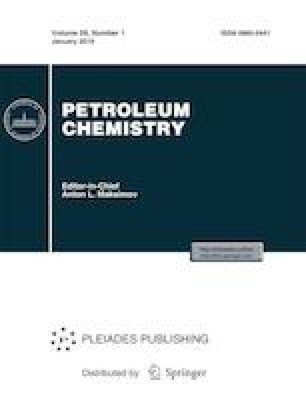 Information on the 4-tert-butylphenol thermal stability facilitates to a more substantiated approach to its use as an additive that increases the oxidative stability of fuels and lubricants, as well as an antioxidant for polymer compositions.